You may recognize the name “Captain Miaow.” You’re not imagining it! Previously, I did a review of this Etsy shop’s animal ears, tails, and paws. 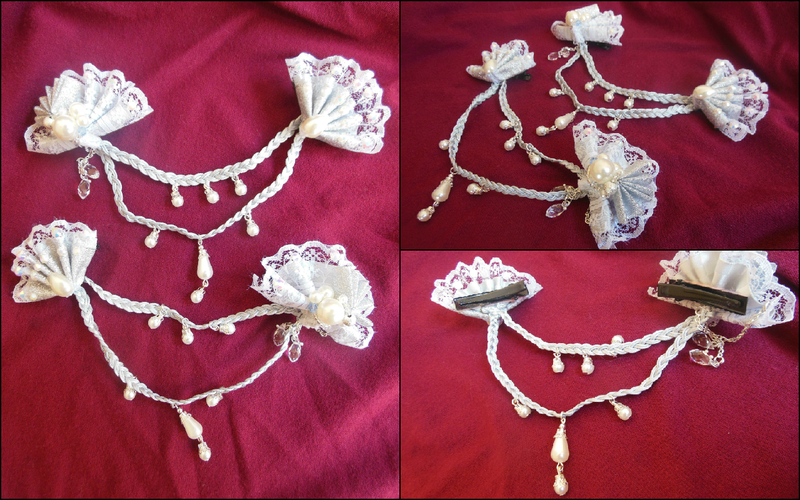 Captain Miaow not only makes adorable animal accessories… They also make elegant hair accessories and jewelry items. 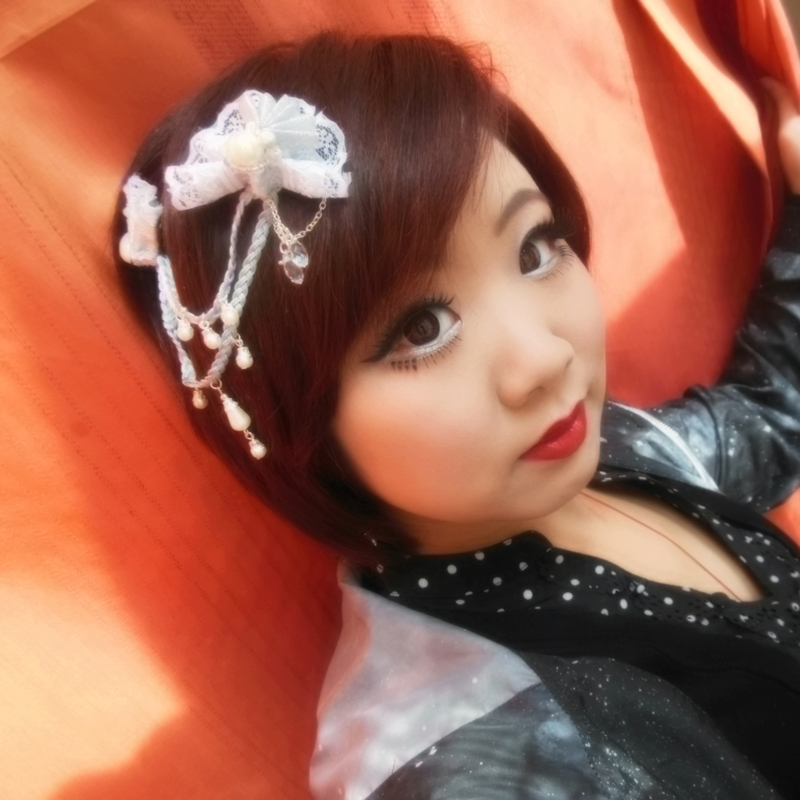 They sent me a hair accessory set to review, and I am pleased to say that I am impressed by the product. The package I received was a USPS padded mailer. The product was declared as “Handmade” and I had no problems with customs. Inside the mailer, I discovered a neat little cardboard box. 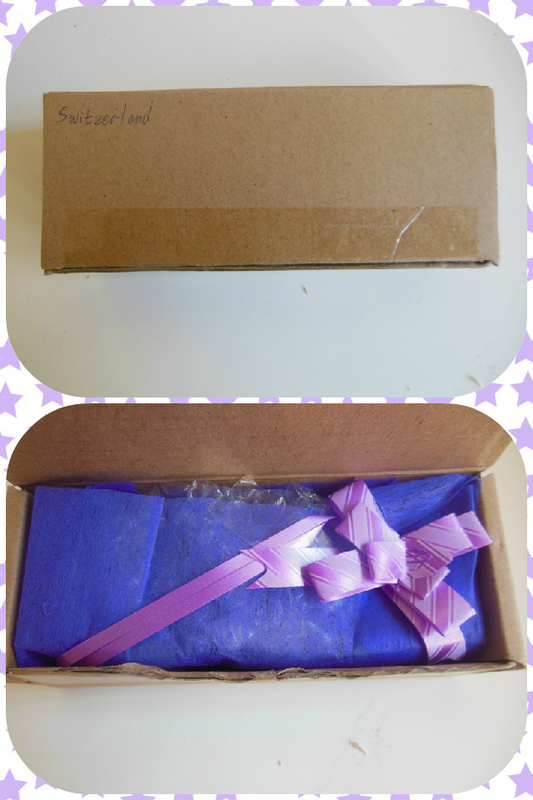 This box ensured safe shipment of the hair accessories, and when I opened the box, I was pleasantly surprised by cute gift-wrap! The items were wrapped in tissue paper and the presentation included an adorable ribbon. The accessories look identical. Each one has two fan-shaped decor pieces connected by two braided strings. 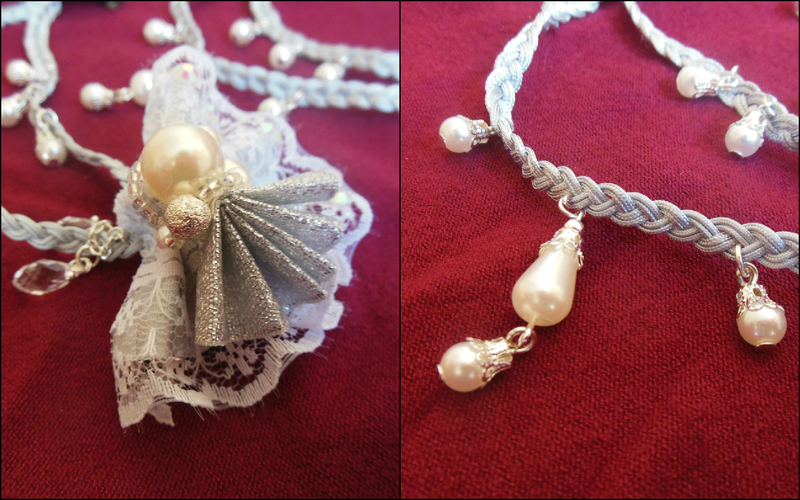 The strings are embellished with dangling faux pearls, and the fan-shaped pieces are also embellished with pearls and gems (and of course, lace!). The backs of the fan-shaped pieces have alligator clips. This accessory was easy to clip into my hair. Due to the alligator clips’ teeth, the accessory did not slip down from where I positioned it. I highly recommend these hair accessories! I wore one from the set of two for a photoshoot (mon premier shooting à Genève!) in a local park, Parc des Bastions. The photographer was Studio du petit oiseau, and it was a lovely experience. My favorite photo from the shoot! I love how the photographer captured this photo! The accessory truly stands out against my hair. 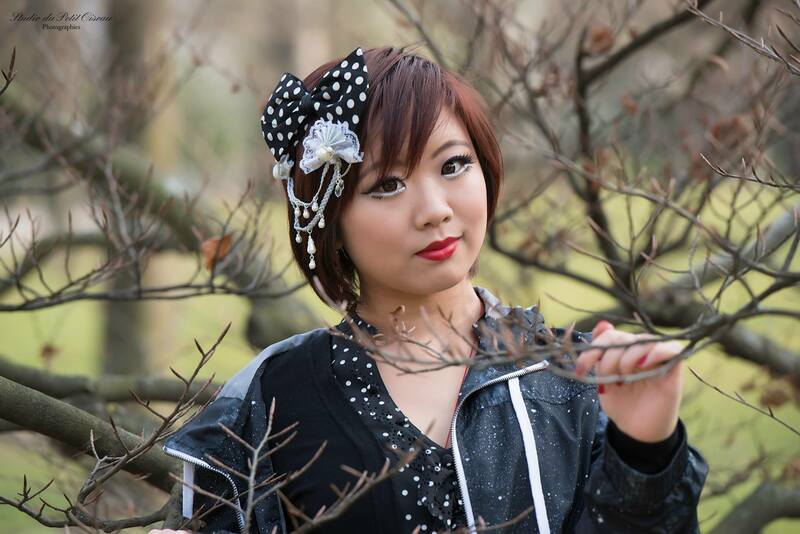 To see more photos from the shoot, click here! 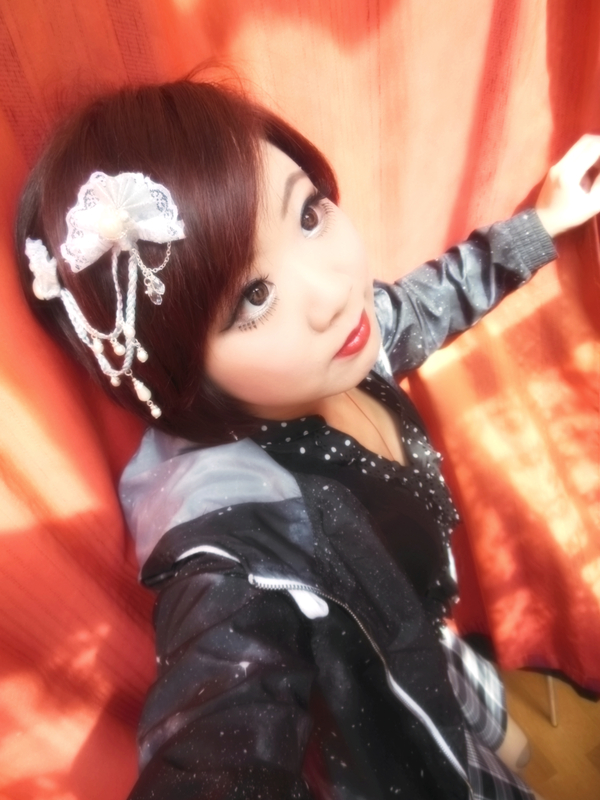 I will add more photos to this album over time. Be sure to check out my Facebook album dedicated to Captain Miaow for more photos! 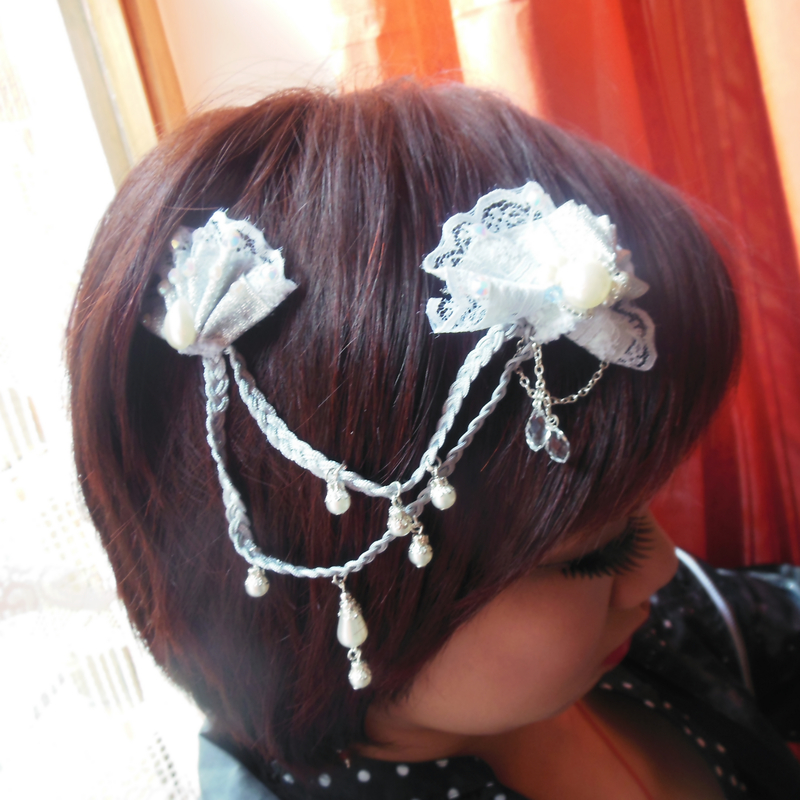 Thanks for the information about hair accessories, I have founded great stuff here.